All MEADOWS PARCEL 9 homes currently listed for sale in Peoria as of 04/24/2019 are shown below. You can change the search criteria at any time by pressing the 'Change Search' button below. "Stunning MOVE IN ready, built in 2018, Premium Park Facing lot in highly sought after Meadows community. 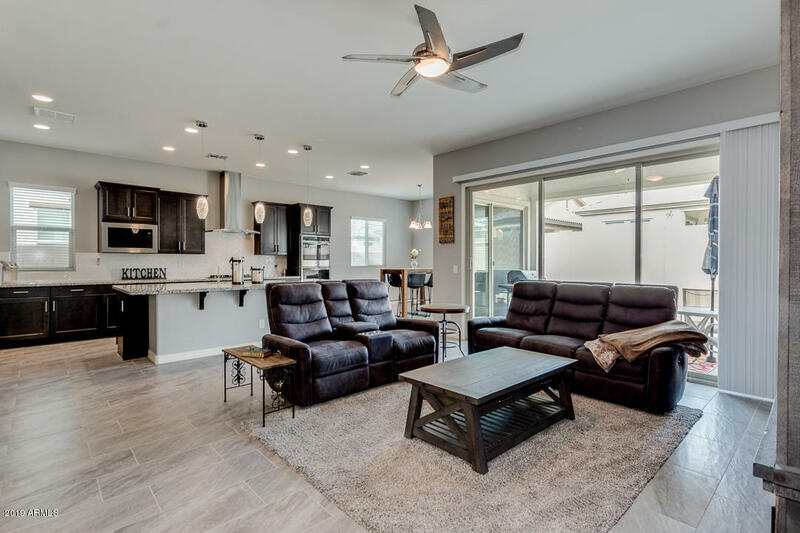 Don't wait months to build -This spacious, open floor plan boasts 4 bedrooms 2.5 baths, enormous multi-slide doors, 10 foot ceilings, 8 foot doors, upgraded flooring, built in work-space, valet storage built-ins, cabinets and sink in large laundry room . Gourmet Kitchen features gas stovetop, double ovens, huge island, and beautiful granite with tile backsplash. Complete with window coverin"